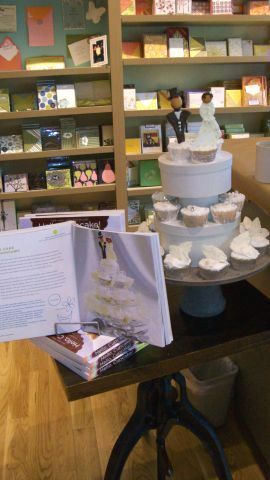 We had such a great turn out for our Paper Wedding and Morning Tea events. What fun it was to show off our new wedding invitation collection, as well as to have the chance for our customers to experiment with wedding rubber stamps and assorted stamp pads at the demo and make & take tables. 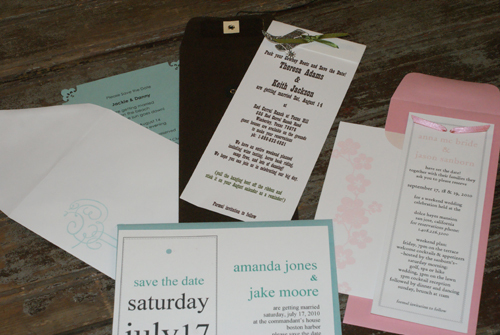 Introducing the 2010 Paper Source Wedding Invitation Collection! 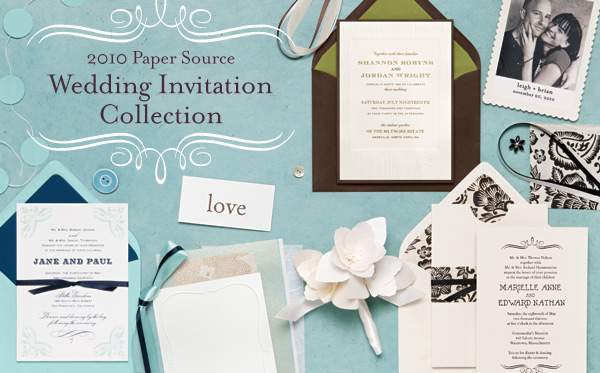 We are thrilled to introduce the Paper Source 2010 Wedding Invitation Collection – now available in Paper Source stores and on our website. 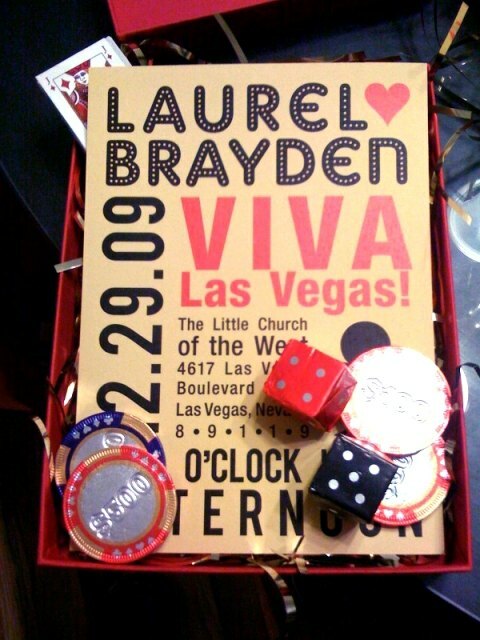 What labor and love the teams here at PS put into the design and execution of this year’s wedding invitations. Planning our collection was not unlike planning an actual (BIG) wedding, just without the pretty dress, fancy cake and amazing party! Are you looking for some great ideas, including templates for printing (finally some easy to use Word files) for creating unique “Save the Date” cards for all your guests? Look no further, because we have created the perfect class for you! You’ll get to walk away with samples of each project and the inspiration to combine with your own style, theme, and color palette! I recently had the pleasure of reconnecting with my childhood friend, Sarah, who moved away long ago when we were in elementary school. What an amazing surprise to find that over the years Sarah has become a wonderfully talented crafter and has fallen in love with Paper Source. In April of this year Sarah got married in beautiful Charleston, and I’m thrilled to be able to share some of the incredible things she created for her big day. 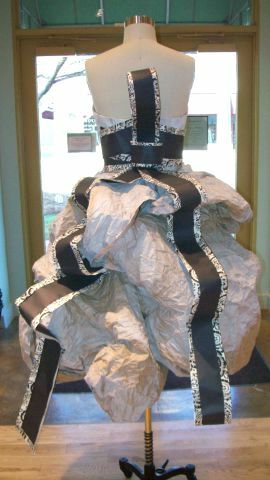 Sarah said it all started with a trip to the Paper Source Georgetown store. In searching for inspiration she kept in mind her wedding location – a historic Charleston building right on the waterfront. She was looking for something that would emulate the colors of a sunset. What she found was a decorative Italian paper glittered in golds, oranges and blues. 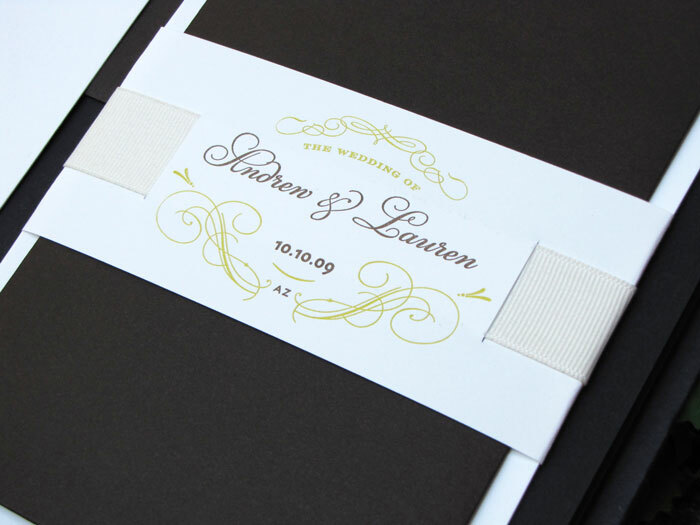 She knew right then that print would become the aesthetic for her entire wedding day.